When a non-electric car (ICE) is blocking a charging spot, thus preventing EVs from recharging, it’s called being ICEd. Sometimes it’s accidental. Often times it’s intentional. Tesla Trip recently did a De-ICEing experiment with Chevy Silverado truck parked along several Tesla Superchargers. By towing it a bit with a Tesla Model X, which is capable of towing. The experiment – with their own pickup truck – is kind of a proof of concept and, at least on snow, it seems to be technically doable. However, especially in case of purposely parked ICE cars, we can’t advise towing the cars from charging spot because several; things could go wrong – from the legal and safety perspective (damage to the cars, lawsuit, street fight, etc.). We must also remember that there is a problem with EVs being left at the DC fast charger, while already fully or almost fully charged (low charging speeds). 74 Comments on "Tesla Model X Tows Gas Truck Away From Supercharger: Video"
ICE Pick into the sidewall of the truck’s tire after towing it would also send a message. I would just call the cops have them tow it away & the idiot that parked it there can pay the towing, storage , & Cab fees to go retrieve it , plus the parking ticket fine.. Here were the cops at the charging station when 3 pick ups blocked charging stations. Then tried to harass and intimidate an EV driver. I’m sure the convivence store has security camera that could get license plates. The towing fee worth more than those trucks. That would of course be the preferred solution, if the police would actually tow and impound the vehicle. But would they? It’s not like there are any laws against people parking their gasmobiles in EV charging stalls, as there are laws against people parking in handicapped stalls if they don’t have a handicapped permit. If the property owner was willing to file a complaint with the police. If the police agreed that offense was worth towing the vehicle. If the police were not busy doing something which they would consider a higher priority… which likely would be just about anything else. If the tow truck arrived before the jerk who parked the pickup didn’t move it first. Seems to me that’s a lot of “ifs”. Yep, let the cops deal with it, doing it yourself would open you up to a lot of liability issues. Doesn’t work if it’s not illegal. Did this guy really leave his truck unattended? Brave man…. No, this is the normal creation of a useless Tesla meme that is irrelevant and could get your head blown off if used. It’s also a demonstration of why fanboy created memes could ironically create a backlash that can negatively affect Tesla owners to a greater degree in the future by advertising a problem created by redneck kids with little else to do but try and be ‘heroes’. It’s a fanboy world. But redneck kids and fanboys are a pretty good match for each other. Neither have enough to think about. I think is time for people to stand on bullies, call the police. The only meme that’s going on here is trolls promoting the term fanboy in an attempt to degrade and marginalize people sticking up for Tesla. As a serial anti-Tesla troll, you are almost at the same level as these redneck coal-rollers. Are you one of the knuckle-draggers who is now making a hobby of deliberately blocking EV charging stalls? At 00:40 “My sister has … a Silverado 1500 and I figured, well, you know, test it out.” His sister (not a guy, nor a brave man) let him use her truck to test. Good point, missed that one. It seemed odd that someone would leave their precious truck exposed like that in a provocative manner though the Tesla crowd probably isn’t the type to take things into their own hands. This particular case, the one described in the article, was not intentional spiteful blocking, no. But sadly, such EV-hater activity has now become “a thing”. Drag it to a fire hydrant and call it in to the local police non emergency number. If some surveillance camera footage turns up showing a Tesla owner setting it up, he could be in a bigger trouble than the truck owner. Don’t do this. You could be liable for expensive damages and an angry wacko attacking your Tesla. Just have attached to the Tesla a Trump sticker. No where I live, we can choose the energy producers, we pay a little more for win, solar, gas sources, NO coal NO way is 19th century technology. It doesn’t matter what you think you are paying for, coal is still producing the electricity. Yes…electricity is fungible and coal power electricity is all over the grid. Yes, the IRONY is Tesla is helping Trumps Economy look better. Otherwise the plant shutdown at GM would mean lower Trump Economic performance. Best thing is to demand Southern State increase Education Funding. These guys “coulda been someone”, with a proper education. But knuckle-draggers who do this sort of thing would be the very last to admit, even to themselves, that they (and more importantly, their children) need a better education. Looks like the rollin coal pinheads found a new way to be a-holes. Rolling coal pinheads are morons too stupid to know they are supporting ISIS and other US hating terrorists. Some say pot makes you dumb, apparently diesel makes them suicidal dumb. Saudi OIL funded the 911 terrorists. Not good to help Terrorists. Just let out the air on all 4 tires. It won’t help for charging Tesla vehicles, but at the least it is a problem for them. Won’t letting the air out of the tyres open you up to a charge of Criminal Damage? Here in Ann Arbor, every charging station has a sign above it that states a $75 fine for “non-electric vehicles” and you will get a boot on your car, courtesy the Ann Arbor police. A simple policy with your local police departments can fix this situation. Uh, good.. but how does a boot help remedy the offense? Now the offending car can’t be moved out of the way (of EV drivers). A timely tow would be a better remedy. If not a boot or tow, then a ticket (with a big fine) would also be better than a boot… at least the offender can still move out of the way, but feel the sting of their mistake/foolishness. $75 talks to everyone, as well as a visit from the police. Remember that if the truck owner punches you, a warrant for his arrest is time consuming. If he punches the cop (or maybe the wrecker driver) the appropriate penalty can be much more immediate. He may block the parking spot once, but once caught and penalized, chances are he won’t do it again. Great! Is that a municipal ordinance? I would be quite surprised if the Great State of Michigan had any State laws against blocking EV charging stalls, given the State government’s extreme hostility towards Tesla. Michigan being one of the very few States where Tesla isn’t even allowed to open a service center, let alone sell cars from Tesla stores! He should have towed it right in front of a fire hydrant, then let the police work their magic. It’s his sister’s truck, and she was probably behind the camera. You know if you do anything to a truck they’d get violent in a second. They’ll ruin your day and think nothing of it, but turn the tables on them, and well, it would be like stealing a gorilla’s lunch….. Just get the truck’s license plate number, and call the police. They’ll cry like little snow flakes. Am I the only one that sees the line in the article that says the people who did this used their own truck for the test/demonstration…? No, but the point of the article, and the subject worthy of discussion on IEVs, is that there are now coal-rolling jerks out there who are doing this as a hobby. The fact that the particular case highlighted in this article isn’t a case of that, does not alter the fact that a segment of the anti-EV crowd has recently turned militant. It’s clear that they’re boasting about this on social media, because incidents are spreading. It’s going to get worse. Looks like this was rigged to me.Just try this in the real world.I bet this would not happen. It is clearly stated that it is rigged. The rednecks who came up with this new ICing thing aren’t likely very brilliant so might take a while to think it through. Bad things could and should happen, maybe that’s what these 2 are saying. I think I have a clue what Trumpy states do something like that, social resentment. Could always bet the truck drivers that that you could tow them. Maybe bet pink slips. To rephrase that: Do two wrongs make a right? Of course not. But still, if I saw a case of some coal-roller purposefully blocking EV charging stalls just out of spite, then I’d be tempted to use some “street justice” by slashing his tires. Not that it would be any less wrong, but at least it would make them think twice about doing it again! Don’t slash the tires, just loosen their valve stem cores. You aren’t damaging the tires at that point. I didn’t even look to see how many other commenters already pointed it out, but I’ll say it again. This guy went out before he started filming and wet the ground under the truck and right in front of the truck. This lowers the friction and allows the truck to slide easily. Then he “conveniently ” put his tires on the dry concrete where he knew they would get full traction and make it easier to pull his sisters truck. Yes, I heard him mention in passing, that it is wintery conditions. So that means there is ice under the truck, and not under his Tesla. No he didn’t. It is just the physics of 4 tires on the vehicle doing the pulling vs. the truck being pulled only having 2 tires locked up when the transmission is in gear and the e-brake is applied. The Tesla pulls the Truck right over the same part of the parking lot. The results would be the same on dry pavement, just with more stress on both drivetrains. It’s more than just a set of two locked tires, but that’s the biggest factor. Weight is another one and the Model X typically has an advantage there (though it obviously depends on the truck). Another one is the type of tires—many trucks use a more hard rubber because it looks better and is better for off-road conditions but it provides less grip on asphault. Also surface area road contact of the tires makes a difference which has to do with the size of the tires (diameter, tread, and width). Along with this, how deflated tires are can make a difference in the length of road contact from back to front. This is the one factor a Tesla owner can change on the fly and turn the tides in their favor, reducing tire pressure from 45psi to 38-40 lets them increase grip and safely drive afterwards. I give you +1 for correctly identifying additional factors. But all those other factors, even if tweaked to the utmost favor of the parked truck, will never keep a vehicle with good 4-wheel traction control from dragging a truck in a parking lot with 2 wheels locked up anywhere they want. This is the most AWESOME thing I have seen this year!! He is our hero. If an electric vehicle is parked in a gas station with the vehicle spanning across 2 pumps, will the ICE guys take it. There is a fairness and the truck guy intentionally parked across multiple chargers to block the electric vehicles from being charged. I hope the states pass a law to forbid ICE’s from being parked in supercharging / EV charging spots. The armchair troll was trying to claim that a Tesla Model X could never tow one of these trucks out of a parking spot because the the rated towing capacity of the Model X is too low. His arguments were absolutely silly. The reality is that the whole thing comes down to the fact that when you park a truck, typically only the rear wheels will be locked up by the transmission and emergency brake. While the Model X (or any 4-wheel drive vehicle with an effective electronic anti-spin system) has 4 tires applying torque to the ground. The math is as simple as 2 tires times the weight on one axle vs. 4 tires times the weight on 2 axles. With sufficient vehicle weight, 4 tires will win every time, regardless of whether the surface is dry, wet, or snowy. An ICE towing away an X while it’s charging (serious damage) is the next thing. In the meantime the X owner had this ‘brilliant idea’ to earn more clicks and then blah bla that neverending subscribe sh*t..
What is happening in the USA? Hope you guys are not heading for a civil war, with an idiot in DC running the show and seriously not building bridges to prevent futher decline. 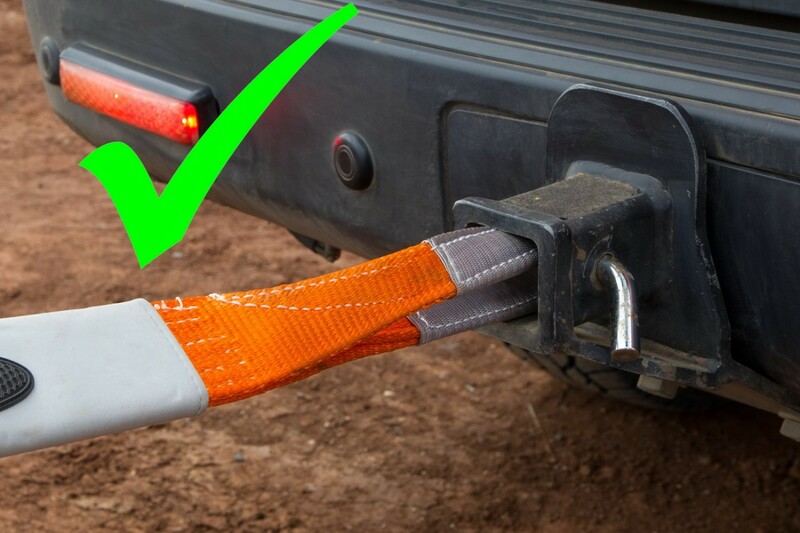 Or if you don’t have one of those, just remove the entire ball mount from the hitch, and run your receiver pin through the loop in the strap. They are good for 20,000 lb’s in a type V hitch. The cheapest way is to put up a warning sign that any non-EV parking is illegal, subject to a $5,000 fine and a forced removal of non-EV for disposal (junked). That can scare most ICE drivers!